Amorphophallus titanum is a flowering plant. 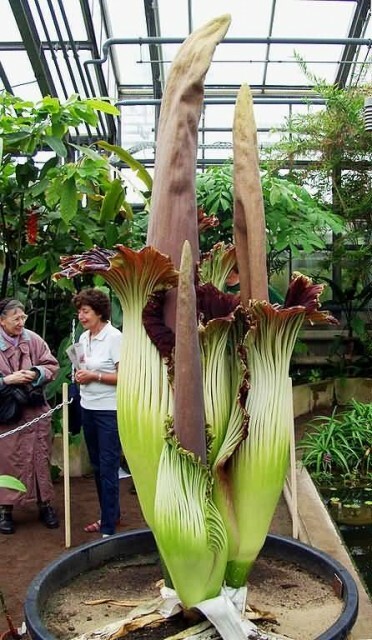 It is also known as the Titan Arum. 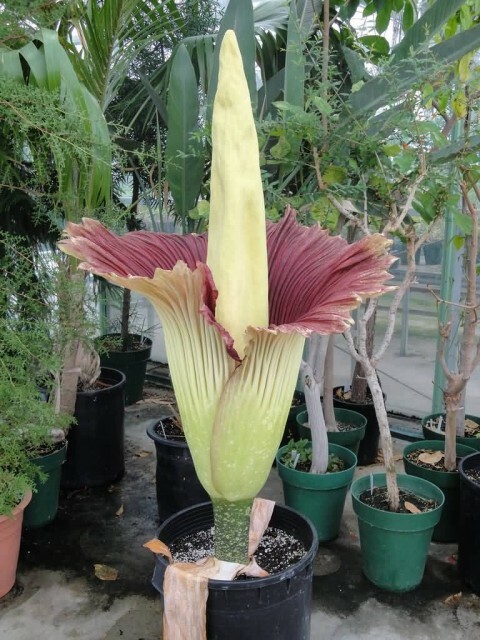 It is the largest unbranched inflorescence in the world. The titan arum’s inflorescence is not as large as that of the talipot palm but it’s unbranched. The titan arum’s inflorescence can reach over 3 metres (10 ft) in height. 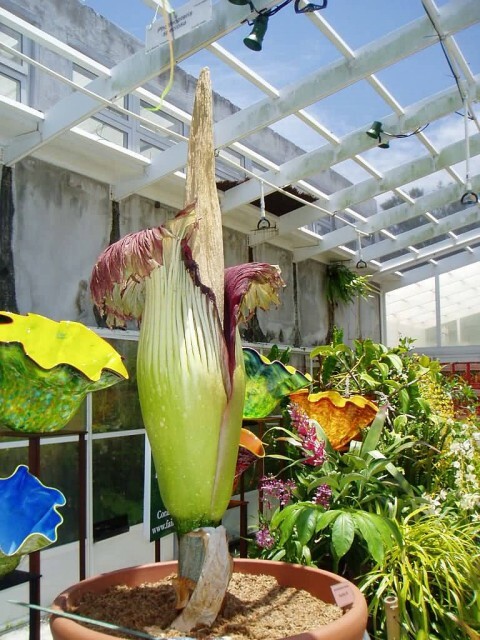 Due to its smell, which is the smell of a decomposing mammal, the titan arum is characterized as a carrion flower and is also known as the corpse flower. It is endemic to western Sumatra, where it grows in openings in rainforests on limestone hills. The plant is cultivated by botanic gardens and private collectors around the world.